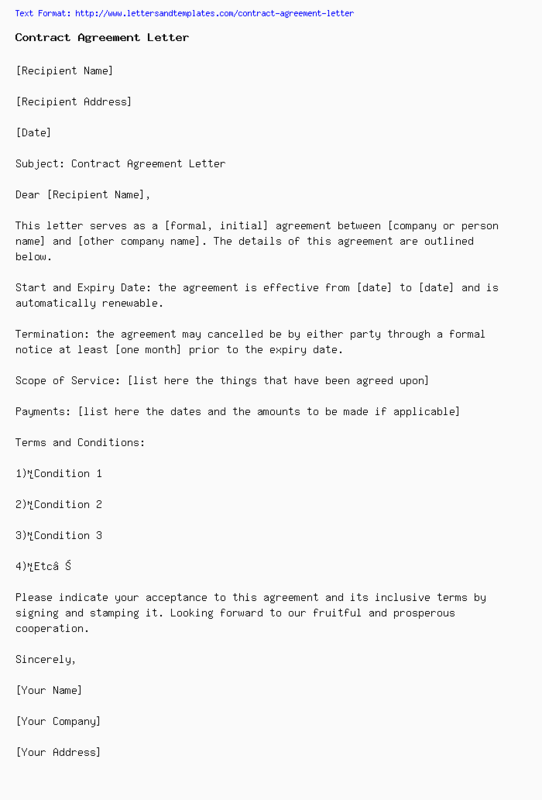 This letter serves as a [formal, initial] agreement between [company or person name] and [other company name]. The details of this agreement are outlined below. Start and Expiry Date: the agreement is effective from [date] to [date] and is automatically renewable. Termination: the agreement may cancelled be by either party through a formal notice at least [one month] prior to the expiry date. Please indicate your acceptance to this agreement and its inclusive terms by signing and stamping it. Looking forward to our fruitful and prosperous cooperation.